Vision Expo West (VEW) in Las Vegas, scheduled for September 26 through 29, offers ECPs from all over the world an opportunity to learn, network and, okay, have a little fun. However, meetings like the two annual Vision Expos also provide manufacturers and suppliers with a platform for introducing new products. Notably, some of the most important recent releases have been in the spectacle lens market. 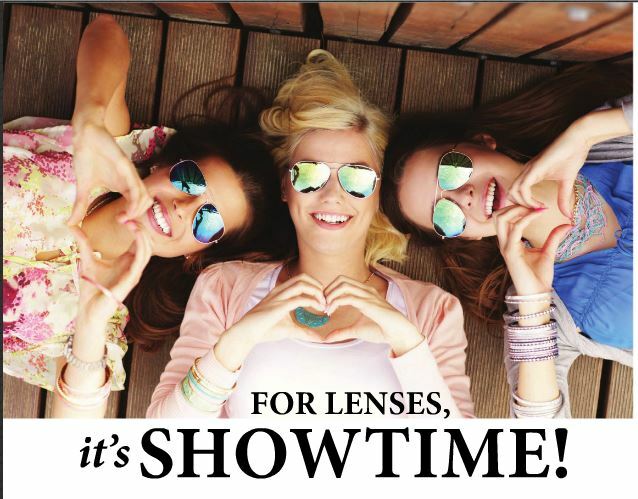 While it’s true the new lens offerings that debuted at Vision Expo East (VEE) in the New York last spring lacked the fanfare of, say, the first freeform lenses or, going back a bit, the initial launches in progressives and photochromics, they were no less impactful in terms of increasing the options you can provide your patients and/or clients. And, more importantly, they also make significant inroads in enhancing how eyeglass wearers see, and their overall visual comfort. Take for example Essilor’s decision to offer blue light protection on all of its lens products going forward, via a new coating (see cover story). The new treatment, called Essential Blue, filters three times as much harmful blue light as a conventional clear lens, the company reports. It meets the needs of today’s eyeglass wearers, and their growing use of digital devices (which emit blue light), by filtering out harmful rays (415 to 455 nanometers) while allowing in rays that are beneficial to eye health (465 to 495 nanometers). Zeiss, meanwhile, used the New York show to launch UVProtect, a lens treatment it describes as the first-ever complete sunglass-level ultraviolet (UV) coating available for clear, organic eyeglass lens materials. The company will now be offering this UV protection (up to 400 nanometers) on all its lens designs and materials. This is notable because, according to Zeiss, most clear spectacle lenses protect against 380 nanometers (UV380) of UV, leaving eyeglass-wearers exposed to as much as 40 per cent of the most harmful rays. This exposure has been linked with photoaging, cancer and cataracts. Staying on the theme of eye protection, Vision Ease and Younger both made significant additions to their polarized sun lens lines during VEE. Vision Ease has expanded its Coppertone Polarized Lenses line with new offerings in PPG’s Trivex material. Of note, Coppertone Trivex lenses block 100 per cent of UVA and UVB rays, and also filter blue light. Younger’s launch in New York is called NuPolar ® Infinite GreyTM. According to the company, the new lens is designed to combine its “award-winning” NuPolar polarization technology with state-of-the-art photochromics, creating an “adaptable” corrective sun lens. The new product was developed in response to complaints from prescription eyeglass wearers that their sun lenses were, “either too light or too dark, typically at the wrong times,” according to Younger. In their lightest state, NuPolar® Infinite GreyTM lenses allow for 35 per cent light transmittance, compared to only nine per cent at their darkest state. VEW in Las Vegas will likely see more new products brought to market. How these new innovations can and will be used in individual optical practices remains to be seen, but new technology generally brings with it new opportunities to meet the ever-increasing expectations of eyeglass wearers. Eyeglass Lenses: An Embarrassment of Riches?